Donating your car to Kids Aid is a great way to support children in need. 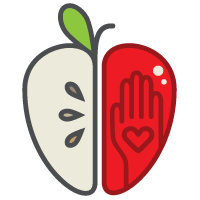 Kids Aid is a non-profit organization dedicated to providing for the needs of children, with a primary focus on supplying food to hungry kids. In collaboration with Mesa County School District 51, our Backpack Program sends food donations home with children who otherwise would go hungry over the weekend. This heartbreaking statement from a little girl in elementary school sparked the idea of Kids Aid. This encounter couldn’t be ignored and in 2007, Kids Aid was created to try to meet the overwhelming need of childhood hunger. It was quickly learned that many children in Mesa County did not have enough to eat over the weekends and were coming to school distracted and fatigued by hunger the following week. It didn’t take long to gather other volunteers to assist in addressing this issue and recruit a Mesa County District #51 (MCSD) school to begin a pilot weekend food distribution program. No other program met weekend hunger needs. The initial program distributed 10 sacks of food over the weekends through one elementary school for three months. Since the initial pilot program in the spring of 2007, need in the valley continued to increase. The program began in the back office of the co-founder’s business with five volunteers (employees of the business) distributing food each week. The program now partners with several local churches and over 140 volunteers and has grown from serving 10 students a week to over 2000 students a week. Your car donation to Kids Aid will help feed hungry children over the weekend. If you'd like to donate a car to Kids Aid please fill out the form below or call us at 866-701-2277.